The Kittiwake Trust Multilingual Library: David Crystal to become our Patron! David Crystal to become our Patron! On Thursday 28 April, world renowned linguist, author, editor, lecturer and broadcaster David Crystal will come to the Kittiwake Trust Multilingual Library in Eldon Garden to give a talk entitled Why multilingual libraries matter - David Crystal reflects on why libraries are so important, and why multilingual libraries are the most important of all. As of that date, he will also become Patron of the library. The library, which opened in August 2015, is run by local charity, The Kittiwake Trust. It currently has approximately 5000 books in more than 60 languages (and Geordie) and over 200 members. The library is run by volunteers and up to now has done no publicity apart from word of mouth, flyers, a single-page website and a Facebook page. Priority has been given to unpacking and arranging the books, training the volunteers and talking to as many of the visitors as possible in order to find out what is most needed. 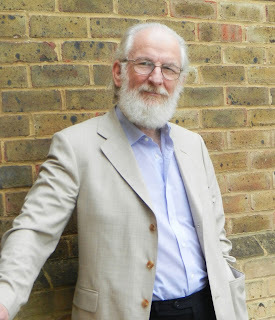 Having David Crystal as Patron is a huge honour and his visit will be the first public exposure of the library. Since it has been operating for several months, it didn't seem right to call the event an 'opening' – it is more accurate to say it is becoming definite, becoming delineated, taking shape, falling into place, developing, taking on character, becoming visible, becoming a reality – in short, it is crystallizing.